A beautiful gift is just what that special someone needs to celebrate a special occasion. The Victorian Garden Tea Room presents unique gift ideas and suggestions for various occasions including anniversary gifts, baby gifts, birthday gifts, Christmas gifts, house warming gifts, retirement gifts, wedding gifts, holiday gifts and more. Reasonably priced and perfect for every occasion. We guarantee you will be delighted with all of our fine quality products. 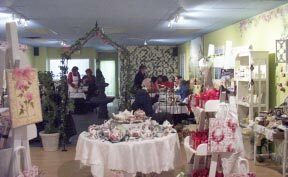 See why we were voted Etobicoke’s #1 Gift Shop in 2005, 2006 and 2007. Loose-leaf teas from around the world.